To have a Oldwalls Gower wedding is a pretty awesome! Although the weather was rather gloomy to start it soon parted ways to reveal a lovely day and an evening filled with partying and fireworks over the venue following a beautiful wedding day. Olivia and I use to work together many moons ago and so after a couple of years since we last saw each other, it was a pleasure to say a big fat YES to being hers and Adams Oldwalls Gower wedding photographer. A few months ago Olivia and Adam had their pre-wedding photography session at Oxwich Bay which is only a stones throw away from Oldwalls Gower wedding venue. A little different climate to the weather that featured on their wedding day. The sun was beating down and t-shirt season was in its prime. Ok, so back to their wedding day… Ughhhh, that weather; you couldn’t hear much other than window weather reports from bridesmaids and time to time, me, as the rain bounced from the floor. It was sure to pass but it showed no time of clearing soon. Thankfully it cleared conveniently in time for the brides departure from Mulberry house. With Make-up and Hair being done on each bridesmaid, prossecco slowly poured and the ceremony inching ever closer. It was lovely to have a brief catch up once again with Olivia the bride and one of the boyfriends of a bridesmaid who I also use to fondly work with. With the dark red tones of the bridesmaids dresses glowing in small patches of broken sunlight it was almost time to get dressed. Steve the videographer and I attempted to capture the dress in all it’s glory so we managed to find a gap in the weather to hang from the door way of the house. It was time. The groom awaiting his bride at the ceremony, the room, packed with their guests. Olivia and her dad travelling down from Mulberry house to the venue via an old stylish Jaguar car. As her bridesmaids wait in the doorway, Olivia was about to make her entrance to become Mr & Mrs Bray. The ceremony filled with laughter a few tears from their parents and pure joy at the sight of the couple getting married. It was time to celebrate. Rings and vows exchanged, confetti in abundance was thrown over the couple as they exited into the courtyard ready to mingle with some formal group photos thrown in for good measure. As it was so cold outside canapés and alcohol were served inside ahead of their wedding breakfast and speeches commenced. We headed out for the couple to have some alone time along with a handful of portraits too which were just awesome, the autumnal colours in full swing and the red theme really set off the scenes. The evening opened by the cutting of the stunning naked cake that you can see below! Shortly followed was the first dance, Oldwalls Gower like to make a big fuss of the first dance with the spot lights, love letters and a smoke machine which is always welcome and certainly increases creative juices for me! It wasn’t long before the dance floor was bouncing full of guests with all sorts of moves*. A time to start to relax and unwind after a long day of celebrating. The night ending with a large display of fireworks held by the venue to cap a fantastic wedding day in the Gower. A great job despite the weather and really like those autumnal colours – oh and that first dance shot! I bet they’re chuffed with these! Thanks dude! It certainly was challenging to start with but our prayers were heard for sure! They absolutely love the gallery. 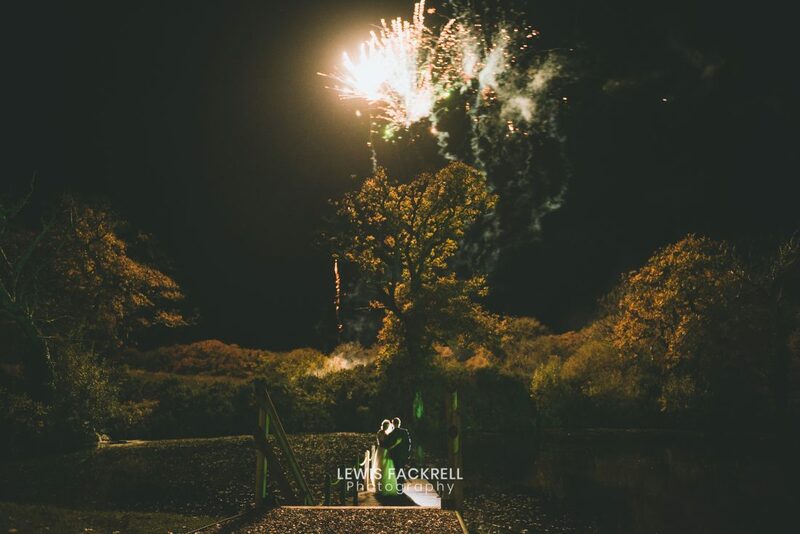 Really nice work Lewis, cool fireworks shot. Cheers Tommy! If only every wedding ended with such an awesome set of fireworks… great way to bookmark such a great wedding. Thanks Lucy, there was a fantastic florist to thank for that, such stunning colours through the whole day. It really was, thanks Bart. Absolutely, always helps having such joyous guests at a wedding. 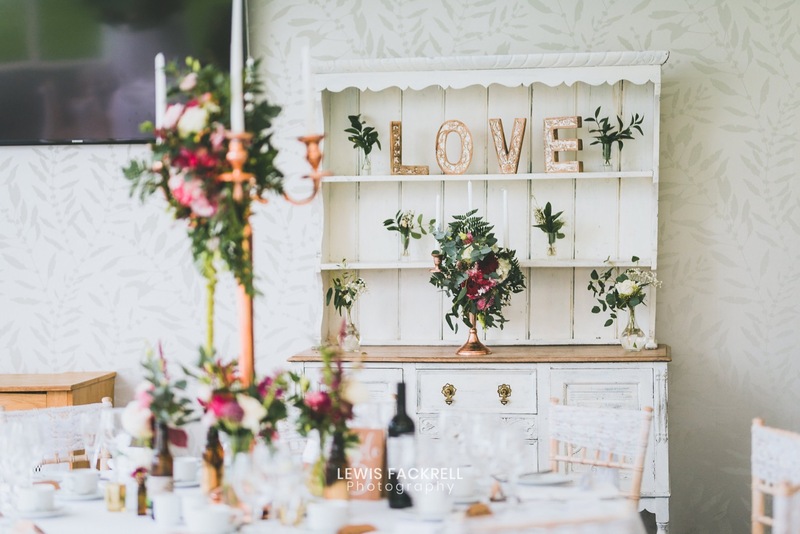 Great set of images Lewis – Love the way you connect with the couple and the guests. Ahhhhh Cheers Ashley!! I just want them to feel and seem human glad it comes through in the images. Great coverage despite really challenging weather. Great job mate! Cheers Martin, not much you can do with the weather is it? !